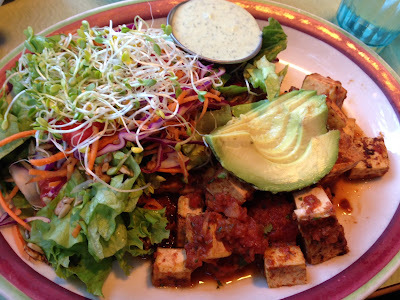 Vegan in Bellingham: Old Town Cafe: 316 W. Holly St.
Old Town Cafe: 316 W. Holly St. I first wrote about Old Town Cafe back in 2008. Since that time, I would be hard pressed to guess how many (hundreds?) of breakfasts I have consumed there! It is still one of my All-Time Favorite Places in Bellingham. In fact, I would go so far as to say I can think of no more perfect way to start a Sunday than with breakfast at Old Town followed by a wonderful hike somewhere in this gorgeous place where I get to live. 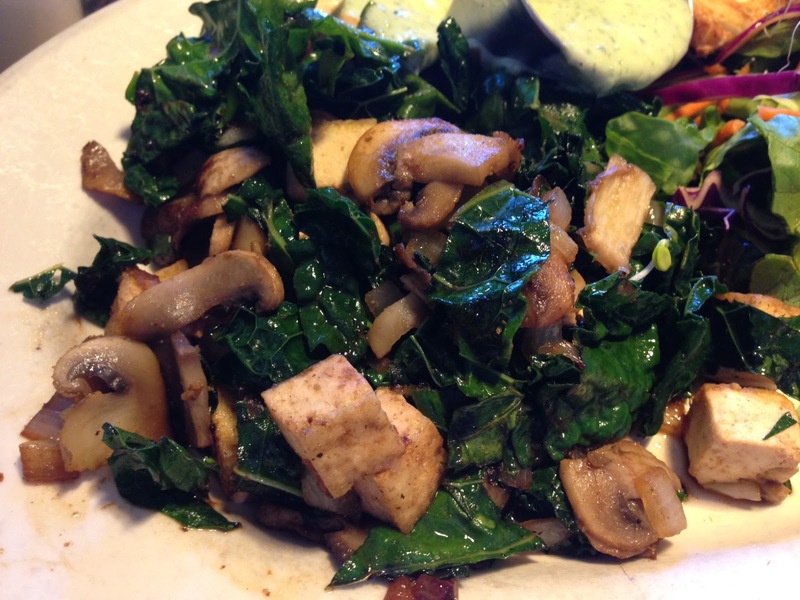 Old Town has options for every person with every dietary need, be it omnivorous, vegan, vegetarian, gluten-free, you name it! I really love the tofu southwest scramble and the lovely slices of avocado that accompany it, but my latest favorite thing to get is a build-your-own tofu scramble with carrots, cabbage, kale and onion. And although I LOVE their home fries and black beans, I have as of late been subbing those sides in for a salad with their exceptionally tasty tofu-dill dressing. I can't get enough of that! A few more things to note the wait staff there, actually everyone there, is ALWAYS so very very nice. Friendly, funny, gracious and attentive, you get the feeling that everyone is happy to be there and that they all work well together. In addition to having delicious food, the place just makes you feel good because the energy is so great. Thanks for the information, I just discovered you today for the first time. And what is so way cool is my children live in Bellingham (about 2000 plus miles from mom). I am glad they are in a healthy community and I will try this place on my next visit. Great to know about this place. My kids live in Bellingham (2000 plus miles from mom) and I will tell them about it if they have not gone there yet. I just found your site today so I look forward to more blog post. Hi Lois! I hope you do try Old Town and that you like it. They are really great because they have something for everyone, no matter your dietary need or desire! :) Thanks for your comment. Hope you visit Bham again soon!